Las Vegas is full of thousands of conservation supporters this week with both the Safari Club International (SCI) Convention and the Rocky Mountain Elk Foundation (RMEF) "Elk Camp" occurring. The 2012 "Elk Camp" at the Las Vegas Convention Center and Riviera Hotel marks the 28th anniversary of this special event and expo. Full of hundreds of exhibitors, lunches, contests, auctions and even country music entertainers "Elk Camp" will prove itself again as a must attend expo for the outdoor enthusiast. Larry Potterfield will be at the show Friday morning, February 3, to attend the Youth Wildlife Conservation Experience (YWCE) and Scholastic Clay Target Program (SCTP), two events that have been funded by personal donations from the Potterfield family. At the YWCE, local Nevada students were invited by the RMEF to come and participate in a variety of activities that encourage kids to expand their knowledge of wildlife conservation. On Saturday, February 4, Larry will be back at "Elk Camp" to walk around the show floor, viewing exhibitor booths as well as meeting Customers at 2:00 p.m. at the RMEF Trading Post & Membership Booth #827. That evening, MidwayUSA and the Potterfield family will receive two awards – one for being Partners in Conservation and for their personal contributions to the RMEF Shooting Access for Everyone (SAFE) program. 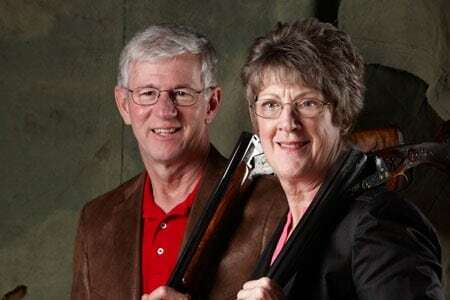 "Brenda and I believe that programs like YWCE and SAFE will change the future of America's youth," said Larry Potterfield, Founder and CEO of MidwayUSA. "We're excited that RMEF is supporting our vision and we look forward to attending another great 'Elk Camp'." For more information about RMEF, please visit their website or call 800-225-5355.